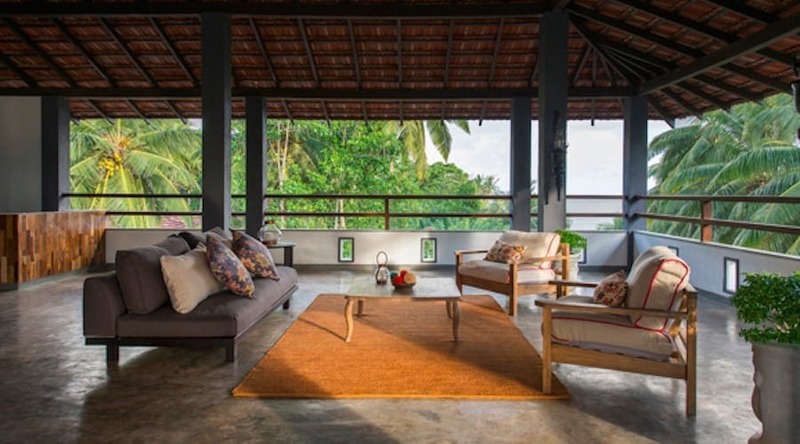 Reclaim Your Self’s yoga retreat at Hiriketiya Bay in south Sri Lanka combines excellent yoga teaching in a tropical location, where you’ll stay in an open-concept villa and wake up to the sound of monkeys and exotic birds in the surrounding coconut groves. Be immersed in your yoga practice with London-based Adam Husler, eat delicious vegetarian food, swim in clear waters, surf and relax on a lovely beach. The combination of excellent yoga and beach time on Hiriketiya Bay, a 500m horseshoe-shaped cove with a small reef and beach surf break. In February this part of Sri Lanka can be hot, reaching up to 30 degrees during the day, and though the villa’s beachside location and open-concept design means sea breezes and fans will keep you cool, there is no air-conditioning, so you’ll need to take it easy during the day to avoid getting too hot and bothered. 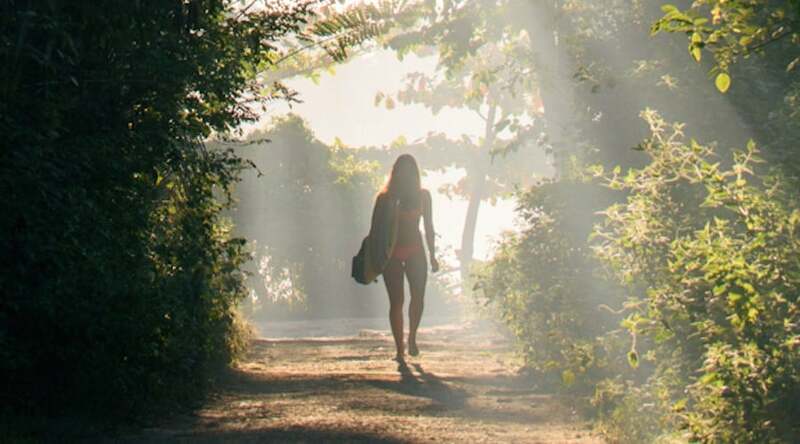 This retreat combines intensive and enjoyable twice-daily yoga sessions with plenty of time to relax, enjoy the local bay and soak up some rays or surf at the beach. Mid week you have a rest day, when for those wishing to explore there are options to visit a national park or go whale watching. Your retreat includes twice-daily yoga classes in the shady outdoor yoga shala. Meditation sessions may also take place on the rooftop. Mats and props are provided. Classes will be between 1.5 – 3 hours long and some will be workshop-style so you can explore aspects of your practice in detail. Your afternoon classes will be longer than morning sessions to give you space and time to go deeper. 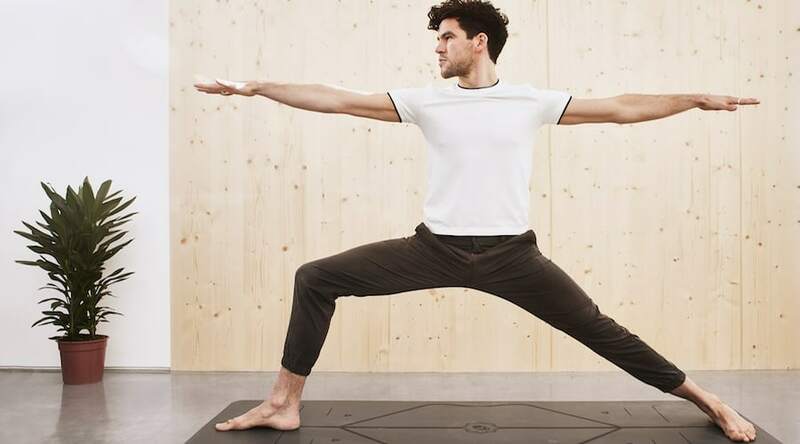 London-based yoga teacher Adam Husler’s classes are open to all levels other than complete beginners, and his classes contain plenty of options to challenge all. He teaches Alignment Based Vinyasa Yoga, and has studied under Jason Crandell, Budokon Yoga Founder Cameron Shayne, and meditation teacher Michael Stone. Adam uses his diverse background, passion for anatomy and understanding of the body to give you a strong, smooth flowing class, where breath, body and mind are linked, building heat and strength in your body. His creatively sequenced classes feature long holds, controlled yet dynamic movements, intelligent alignment and deep exploration of depth in postures. They’re also dogma free. The retreat is located on a small, sandy bay, making it the perfect location for a beach holiday vibe. Swim in the warm, clear waters, snorkel around the reef, sunbathe on the white sands or wander along to one of the beach cafés for a juice. 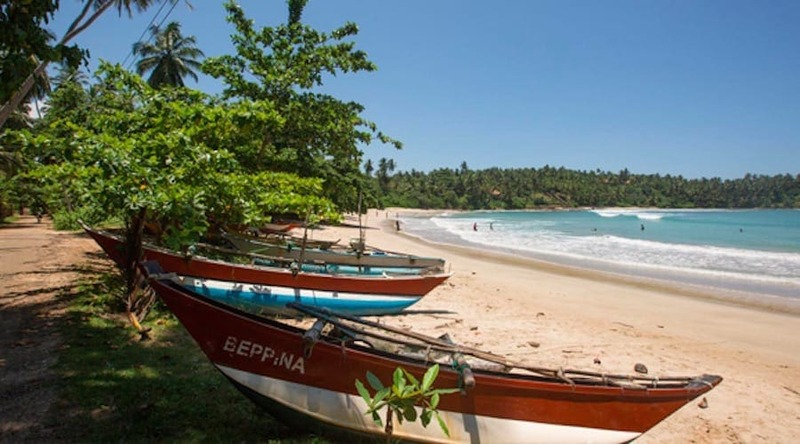 Sri Lanka is a well-known surfing destination and this yoga retreat is located on Hiriketiya bay where clear waters and small swells makes it ideal for beginner surfing. Lessons or board hire can be arranged. For those with more experience, there are several intermediate surf beaches with in easy reach by tuk-tuk. If you want to try stand up paddle boarding (SUP) there is a SUP school about an hour away. 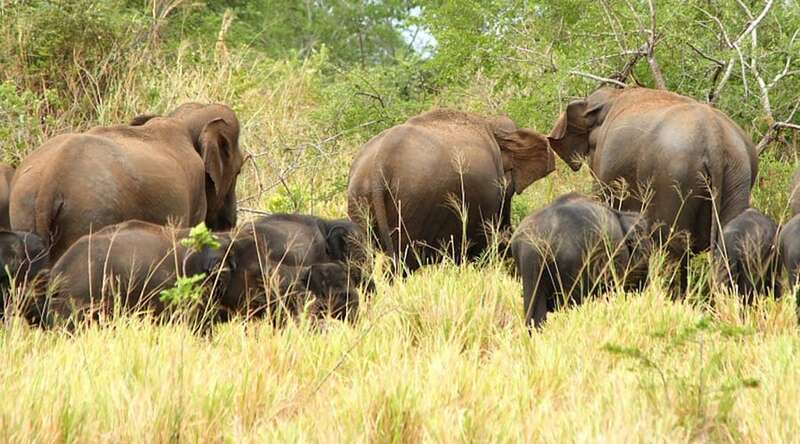 Mid week there is a free day where you have an option to visit Udawalawe National Park, where elephant sightings are guaranteed. The park has 30,000 hectares of marshes, forests and grasslands. In addition to the elephants, there is also an abundance of birdlife, deer and crocodiles. You could also choose a whale watching option in Mirissa, a small town on the south coast around 30km from the retreat. It is a popular tourist destination, fishing port and one of the island’s main whale and dolphin watching locations. 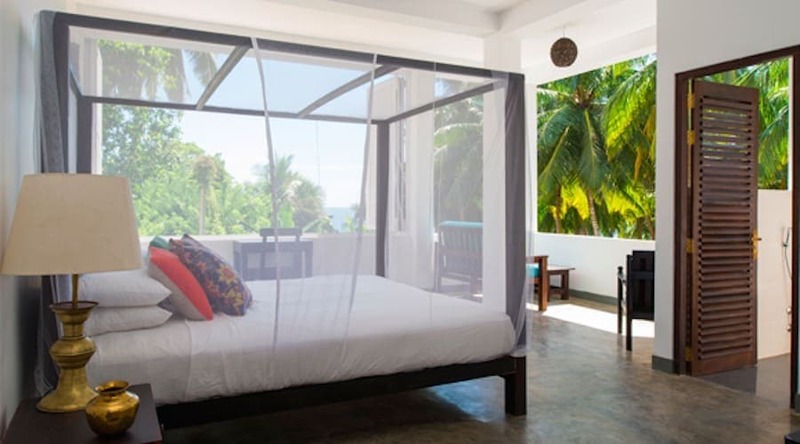 Bedrooms: The retreat villa has ten beautiful bedrooms with king or twin beds. 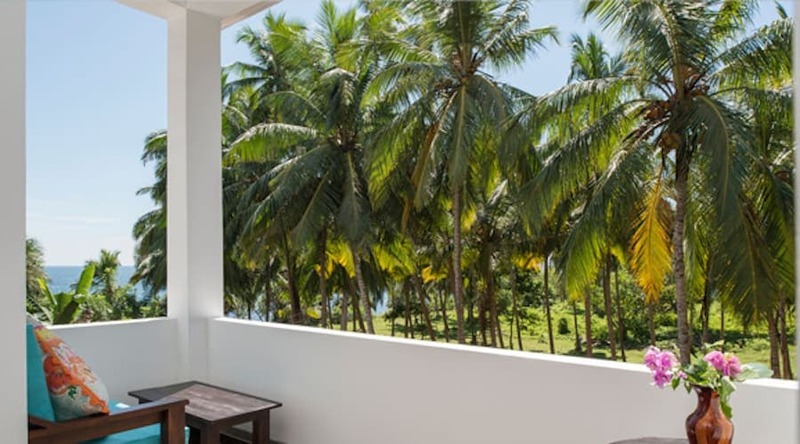 The rooms have been designed with an open concept; their large windows and open-air ensuite bathrooms have views of the ocean and vast coconut groves. Polished concrete floors provide a cooling effect, in addition to the ceiling fans. The rooms are fitted with locally produced furnishings and fittings mixed with antiques and art deco features. Reclaim Your Self will arrange transfers from the airport if you arrive on a morning flight, but this can be quite hard going after a night flight. You may prefer to arrive a day earlier and spend the night in Colombo at one of the beachside hotels to break the journey. The historical town of Galle and its nearby beach Unawatuna are popular with tourists but well worth a visit if you have time to extend your stay. February is high season in Sri Lanka but this location will be quiet, and you’ll be away from the busy tourist spots. The temperatures will be toasty, at around 30 degrees during the day, making it an ideal winter escape from Europe. Rooftop: The villa has a huge rooftop with views out onto the bay. Tastefully furnished with sunbeds, sofas and an al-fresco dining area, this is a highlight of the location and the perfect spot to enjoy sunset. Grounds: The villa has a lap pool surrounded by sunbeds and a relaxation deck. It’s in a relatively small grassy garden, but surrounded by vast coconut groves with a sandy path leading directly to the beach. Meals are served on the rooftop terrace, and your retreat includes three delicious, healthy, fusion-inspired vegetarian meals each day created by Reclaim Your Self’s own private chefs. Juice is included with your breakfast, water is available all day, and you can order poolside smoothies and drinks at an additional cost. The villa owners have deep roots in Sri Lanka and their respect for the local culture and natural environment is integral to maintaining a spiritual, harmonious location. Reclaim Your Self uses local staff and guides so that your trip is directly contributing to the local economy. Jasper House, Hirikatiya, Dickwella, Matara.